Marketing And Sales – What’s The Difference is a quality audio that defines and explains in solid detail the primary differences between sales and marketing along with how both are combined to make a business thrive. Basically marketing runs from the concept stage to the final product stage where such things like the market, demographic, product creation and pricing are implemented and ultimately completed. But to get the product to the market is where the selling begins and that’s how a business thrives. You can’t sell anything if you don’t have a product. And you can’t create a product if you don’t know what or who you’re creating it for. Both the sales and marketing teams work together although some say it’s the marketing teams that are responsible for the success of a product as they are the strategists and developers and brains behind the product. The sales people beg to differ as they believe a product cannot sell unless the consumer is convinced that the product is useful and that’s where the sales skills come into play in order to make the consumer part with their money. And a business that doesn’t make money is not a business. 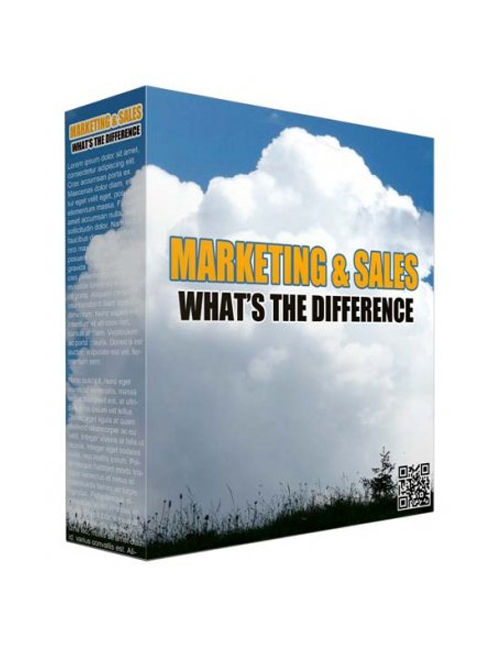 Marketing And Sales – What’s The Difference is the practical download that delves deeper into the marketing and sales concept and how it shapes the business world. A definite eye opener if you’re involved in business.